Listed below are homes for sale in Sheridan Triangle, a neighborhood located in North Madison, WI. Listings are updated multiple times a day from the SCWMLS. For more information about any of these Sheridan Triangle homes for sale, just click the "Request More Information" button when viewing the details of a property. We can provide you with disclosures, past sales history, dates and prices of homes recently sold nearby in Madison, and more. And, for your convenience, register for a free account to automatically receive email alerts whenever new Sheridan Triangle listings come on the market that match your search criteria. Mac Pherson Street to the north; North Sherman Avenue to the east; Steensland to the south; Sheridan Drive to the west. 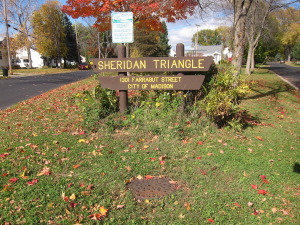 Sheridan Triangle is a small residential community flanked by Sherman Middle School and the village of Maple Bluff. 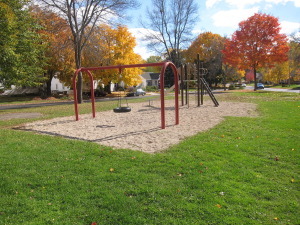 Lake Mendota is a short walk or bike ride away, and Warner Park provides ready access to it. That walk will be more enjoyable thanks to comprehensive city efforts to rejuvenate Sheridan Avenue, which runs along Sheridan Triangle’s eastern border, and Packers Avenue, which is just a few blocks east of the neighborhood. Bike lanes were added to the roadways, sidewalks were widened, trees and landscaping were added along the right-of-ways, and community artwork is on display throughout the area. That artwork reflect a close-knit community. Neighbors have banded together to raise funds for new playground equipment and to care for the Nana Peterson Garden at Triangle Park. An annual neighborhood picnic held each spring helps ensure that nobody who lives in the area is a stranger. Post-war development brought much of the housing stock to Sheridan Triangle in the mid 1940s. The neighborhood is comprised almost entirely of single-family homes with well-manicured lots and vibrant gardens. Mature trees shade the neighborhood, a gentle breeze floats in from the lake and abundant green spaces and gardens make it a peaceful and relaxing community. Fewer than 380 people have lived in the neighborhood since 2000, which makes it a small group of familiar neighbors. Brentwood Park is just outside the neighborhood’s northern border. A small pocket of commercial space is located along Sherman Avenue across from Sherman Middle School. Warner Park is less than a mile north of Sheridan Triangle. There, neighbors enjoy Warner Park Beach, the Madison Mallards semi-professional baseball team, miles of trails to hike and sunsets over Lake Mendota from Governor’s Island. The Northgate Shopping Center just a few blocks north of Sheridan Park Triangle boasts restaurants and a mix of retail. Madison College and the Dane County Regional Airport are both about three miles east of the neighborhood. Downtown Madison is less than four miles south of Sheridan Triangle, and Sun Prairie is about 10 miles north. For information about finding a home in the Sheridan Triangle neighborhood or to sell your Sheridan Triangle home, contact our team for a better real estate experience. 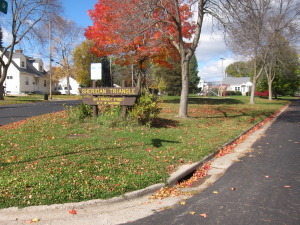 The Sheridan Triangle neighborhood is located on the North Side of Madison in MLS area Madison – E04. Below are more homes for sale in that area.